Our first company of Shipping is DHL. Saranno fatti 3 tentativi di consegna. Dopo il terzo tentativo, l’ordine sarà rispedito al nostro magazzino. Axpasia ships from Italy to all over the world except some countries which are determined by the criteria of security and deliverability. Your shipment may be subject to the customs fees and import duties of the country to which you have your order shipped. These charges are always the recipient’s responsibility. In all cases our shipping fee does not cover additional fees and customs fees. 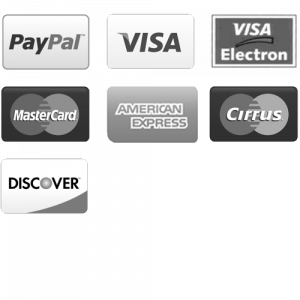 International customers are responsible for paying custom charges directly to the carrier or governmental agency requiring payment. If custom charges are not paid in a timely basis the carrier will return the item back to us and we will refund your money back by deducting all the return expenses which charged from us. Axpasia is not responsible from any rejected shipment expenses. Axpasia will help giving the international custom codes that the customer can use to understand before which tax has to pay. We ship orders in 48-72 hours after the order has been placed if there are no other notifications about the shipment date. Once we ship orders, our system sends automated mail to receivers including AWB (Tracking number), Courier company details (usually DHL) and estimated delivery dates. We unfortunately do not ship in public holidays since the cargo companies do not give service on those dates. Axpasia is always welcome you to tell us any problems you had with the cargo companies or any other delivery difficulties. Please note: Unexpected delays may effect the shipment’s delivery time during the transfer. Sometimes unexpected delays effect the cargo companies or the person in charge of delivery. WARRANTS: Axpasia warrants, to the original purchaser of the Product included in the package, that the Product will be free from defects in materials and workmanship. If the Product fails due to one of these defects, we will replace it. Axpasia has the sole right to determine if any claim results from a defect covered by this Warranty. This Warranty does not cover damage caused by accident, improper care, or negligence. This Warranty only covers products made by Axpasia and sold by Axpasia or an authorized reseller. It does not cover any third- party product(s) sold by other companies. EXCLUSIONS: Axpasia has no liability to provide warranty services due to Product damage resulting from shipping. Axpasia will not be liable for any direct, indirect, or consequential damages to the Product’s purchaser, or any third-party user, arising from any Product deficiency. Axpasia is not responsible for direct, special, incidental or consequential damages arising from any breach of warranty or condition, or under any other legal theory, including, without limitation, any costs of replacing personal property or recovering or reproducing any program or data stored in any device used with, or carried in, the Axpasia Product. CLAIMS: If you are submitting a claim, you must fill out and submit the Warranty Claim Form, return the Product to us, and provide proof of purchase. You are also required to provide a description, and/or photograph detailing your reason for seeking a replacement. If you have any question about whether a claim is covered, please contact our Customer Service Representative prior to returning the Product. All shipping and other costs, such as customs charges, etc. are the customer’s sole responsibility.